Rupee sits atop Mount Everest Base camp. Image courtesy Joanne Lefson. In an awe-inspiring story which reestablishes the fact that given a chance, homeless dogs can reach great heights, literally, Joanne Lefson’s adopted mutt Rupee became the first dog to climb Mountain Everest base camp. 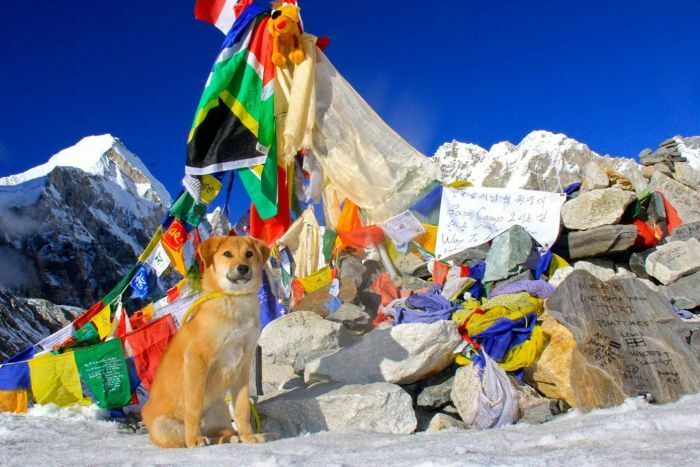 The first dog to climb Mount Everest base camp! Joanne Lefson adopted Rupee – eight months old and dying of dehydration and starvation from a dump site in Ladakh, India. Back then, Rupee was too frail to even walk. Rupee, the first dog ever officially recorded at the camp, undertook the grueling challenge against all odds becoming a fine example of what can be achieved when a homeless dog is given a second chance. Rupee with Joanne Lefson earmarking the trek to Mount Everest. A native to the Himalayas, Rupee once healthy was raring to touch snow. The vet confirmed that the pooch would not suffer from altitude sickness despite being more than 17,000 ft above sea level. Post this clearance, Joanee and Rupee began a first of its kind expedition and completed it successfully in just ten days. Joanne is no stranger to saving dogs having previously rescued and traveled the world with Oscar. After Oscar passed away in January, it is through Rupee that she wishes to inspire others to adopt homeless dogs. 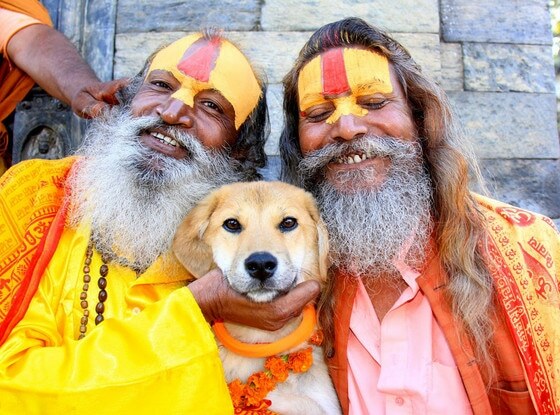 We hope she saves many a canines, like what Hanuman did and this kind gentleman. Next Next post: The Life and times of Friday Dogs!